A demo for FIFA 19 will be available on September 13, 2018. That gives players two entire weeks to get a sense of the game prior to its September 28, 2018 release. Unfortunately, much of the FIFA 19 demo remains shrouded in mystery. The teams you can play as in it have yet to be announced. Likewise, the stadiums remain a mystery. Given the game’s demo history, the standard kick-off mode could be the only way to test out the game, but EA Sports has yet to announce anything. At this point, all we can do is speculate. FIFA received a demo in 2017 as well. It’ll be interesting to see if this demo ever follows in the footsteps of NBA 2K19, allowing players to get a jump on the campaign (or perhaps their season). 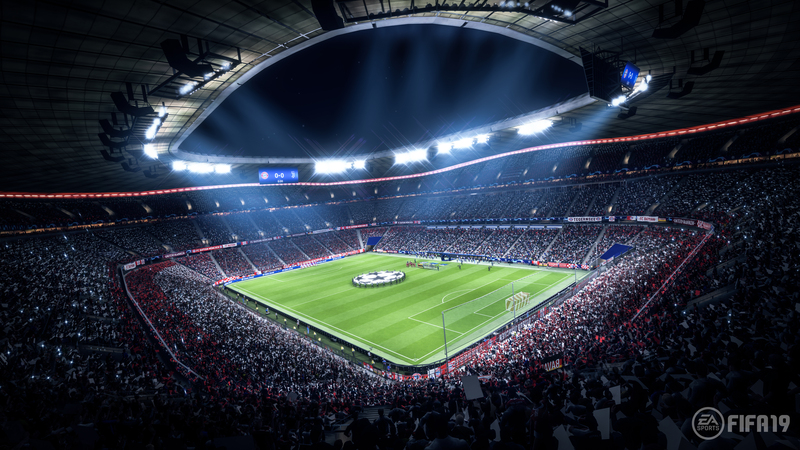 Other possibilities include letting players try House Rules, but from a marketing perspective it might make more sense to give fans a taste of what they already love: the traditional FIFA experience. With the demo release less than a week away, EA Sports is likely to provide more details soon. Otherwise, we’ll all find out for ourselves next week. For more insight into what to expect from FIFA 19, be sure to check out our hands-on preview. If you’re a FIFA fan who is in need of a PlayStation 4 or PlayStation 4 Pro, be sure to check out these FIFA 19 PS4 bundles. FIFA 19 releases on September 28, 2018 for the PlayStation 4, Xbox One, Nintendo Switch, and PC.